There are two types of steppers, Unipolars and Bipolars, and it is very important to know which type you are working with. 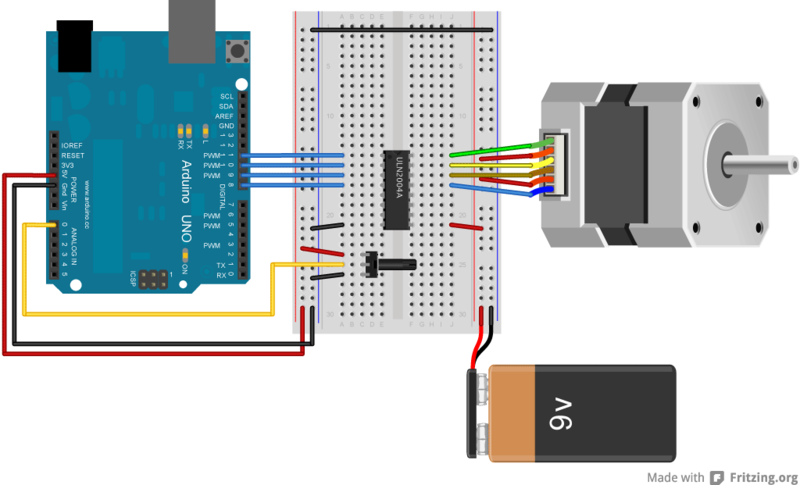 For each of the motors, there is a different circuit. The example code will control both kinds of motors. 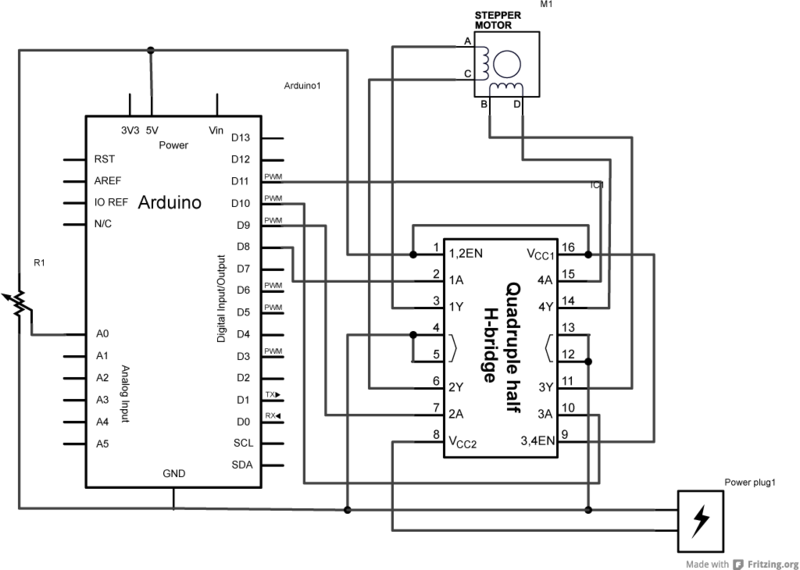 See the unipolar and bipolar motor schematics for information on how to wire up your motor. 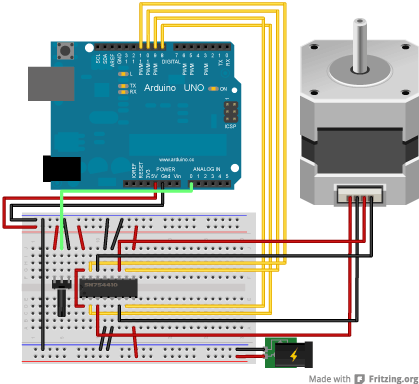 In this example, the shaft does a full rotation clockwise, doing the number of stepper motor using the Arduino Stepper Library. 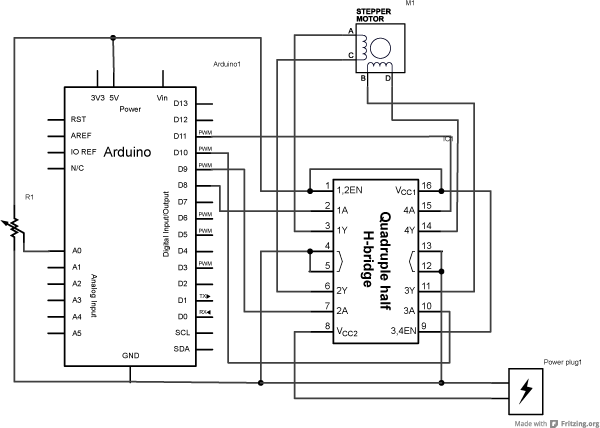 The stepper is controlled by with digital pins 8, 9, 10, and 11 for either unipolar or bipolar motors. The Arduino or Genuino board will connect to a U2004 Darlington Array if you're using a unipolar stepper or a SN754410NE H-Bridge if you have a bipolar motor. 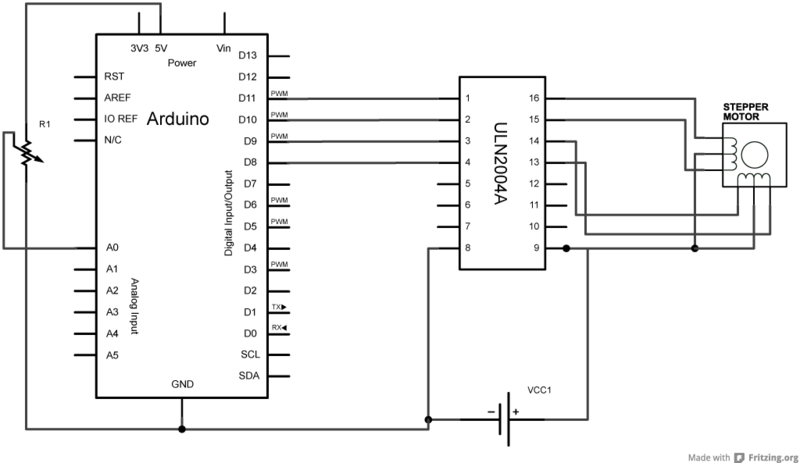 For more information about the differences of the two types, please take a look at Tom Igoe's page on stepper motors. Below you'll find circuits for both unipolar and bipolar steppers. 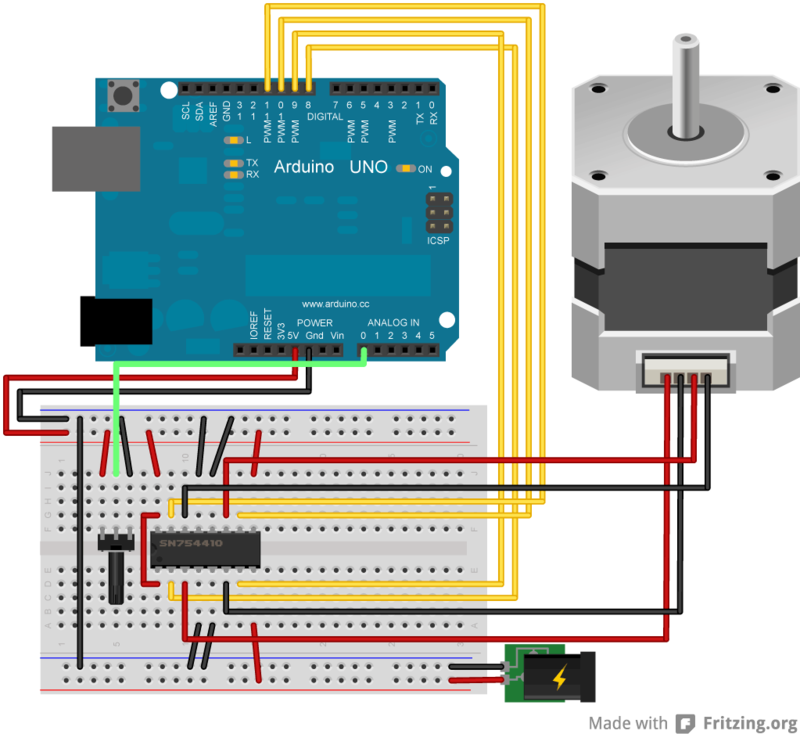 In either case, it is best to power your stepper motors from an external supply, as they draw too much to be powered directly from your Arduino or Genuino board. Note: Both circuits below are four wire configurations. Two wire configurations will not work with the code provided. MotorKnob - Moves the shaft according to the position of the knob of a potentiometer. StepperOneStepAtATime - Single stepping to check the proper wiring of the motor. 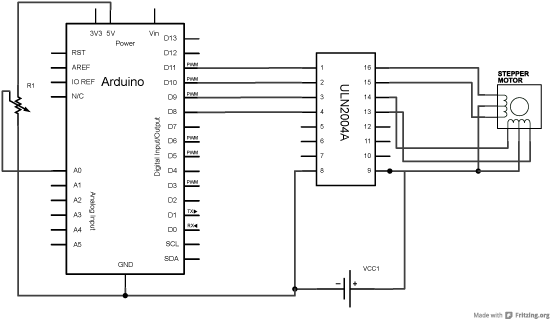 StepperSpeedControl - The stepping speed is controlled by a potentiometer.